Derived from the opium poppy plant and in the same category of drugs as narcotic painkillers like OxyContin, Vicodin, hydrocodone, and fentanyl, heroin is considered the fastest-acting opioid drug. It is illegal in the United States per its Schedule I controlled substance classification by the Drug Enforcement Administration, or DEA. Heroin, therefore, has no approved medicinal uses in America. It is illegally trafficked across the border, usually in white or brown powder form, by a variety of drug smuggling operations. What Are the Long-term Dangers of Heroin Use? What Are the Signs of Heroin Use and Abuse? What to Do during a Heroin Overdose? The drug is highly addictive, and any use is considered abuse. Heroin can be snorted, smoked, or injected, and it causes a rapid-onset high that wears off rather quickly as well. It was estimated that as of 2011, over 4 million Americans had used heroin at some point in their lives, and almost a quarter of heroin abusers likely develop a dependence on the drug, the National Institute on Drug Abuse (NIDA) reports. The CBHSQ (Center for Behavioral Health Statistics and Quality) Report of 2013 by the Substance Abuse and Mental Health Services Administration (SAMHSA) published that an estimated 681,000 Americans aged 12 and older abused heroin that year. The Centers for Disease Control and Prevention (CDC) reports that two out of every 1,000 people in America are addicted to heroin. SAMHSA also published that of the 2.2 million Americans in treatment for a drug abuse or dependency issue in 2013, approximately 526,000 of them cited heroin as their primary drug of abuse. 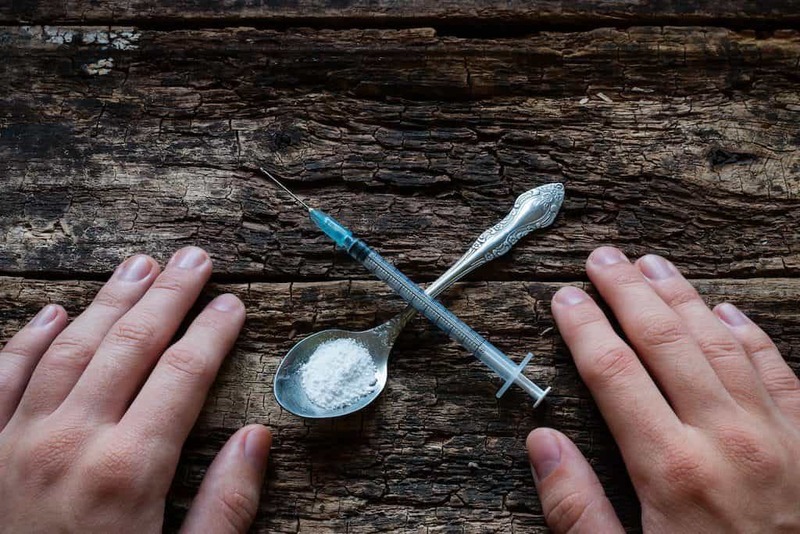 Heroin abuse may have been traditionally viewed as a problem in big cities, and society may believe that individuals addicted to heroin are economically disadvantaged or belong to a minority group. While CBS News reports that one of the biggest risk groups for heroin abuse may be Medicaid recipients, underinsured individuals, those making under $20,000 a year, and white males aged 18-26, heroin abuse is actually rising across all demographics. The biggest increases in use are among those with private insurance, individuals with higher income levels, and women. The overwhelming prescription pain reliever abuse and addiction epidemic may be contributing to this spread of heroin use across all demographics. In 2012, an estimated 6.8 million Americans abused prescription drugs. A study done that same year found that those aged 12-49 who abused prescription pain relievers were 19 times more likely to try heroin than those who didn’t abuse prescription drugs, TIME reports. Prescription drugs have become increasingly harder to divert and abuse. This is due to the restructuring of narcotic pills and tablets to be tamperproof, the improvement of legislative control over these medications, and increased efforts of law enforcement to crack down on “pill mills” and prescription drug smuggling operations. These factors may all have contributed to prescription opioids being harder and more expensive to obtain, therefore increasing the attractiveness of the more accessible and cheaper alternative: heroin. Almost half of all heroin abusers (45 percent according to the CDC) also may be addicted to prescription opioids, potentially highlighting the connection between prescription drug abuse and the possible substitution of heroin. Heroin is a dangerous drug that activates and fills opioid receptors around the central nervous system, creating a flood of “pleasure cells” like dopamine. This is what creates the euphoria that accompanies heroin use. In addition to making individuals feel good, heroin also blocks pain sensations and invites calm feelings. Since heroin’s effects are rather short-lived, individuals may take heroin in a “binge” pattern, taking several doses in a row to continue the high. Heroin is also often abused with other drugs, called polydrug abuse, and the CDC reports that as many as 90 percent of those who abuse heroin use at least one other drug as well. When someone abuses heroin for a period of time, the body and brain can develop a tolerance to the drug, meaning that more will need to be taken in order to keep the user feeling the same way. Tolerance can slide into dependency as the brain’s chemistry is altered through repetitive, or chronic, heroin abuse. Dependency occurs when the brain has become so used to heroin’s impact on dopamine levels and opioid receptors that it stops making the neurotransmitter in the same amounts it did before the drug’s interference. Without normal levels of dopamine, individuals may have trouble feeling pleasure from natural things and may experience drug cravings and withdrawal symptoms if they stop use, encouraging them to take more heroin to feel better. A pattern of addiction may be formed wherein individuals no longer have any semblance of control over their drug abuse, and even if they want to stop, they may be unable to without professional help. Heroin intoxication may be recognizable by blurred vision, pinpoint pupils, dry mouth, constipation, itching, slowed reaction time, feeling of heaviness of the limbs, disorientation, slurred speech, and a rush that may be followed by a crash. Since heroin may be abused via different methods, some of the outward signs of abuse may vary. For example, those who snort heroin may have evidence of powder on their faces, especially around their noses and mouths; they may experience a lot of nosebleeds; and they may have increased respiratory issues. Those who smoke heroin may have burns on their hands or fingers; sores around their mouths; have a persistent cough; and may leave behind drug pipes. Those who inject heroin may have noticeable scars, or “track marks” near their veins; have IV drug paraphernalia, like syringes or rubber tubing, lying around; and may be more likely to have an infectious disease such as hepatitis or HIV/AIDS. In the past decade, heroin overdose deaths have almost quadrupled, up to over 8,200 overdose fatalities in 2013, the CDC reports. Heroin can suppress some of the central nervous system functions that are vital to life, including blood pressure, heart rate, body temperature regulation, and respiration. The majority of heroin overdose deaths are likely caused by a lack of respiration (i.e., lung functions are lowered so far that the body stops breathing), CNN publishes. Heroin overdoses are not always fatal, however. The introduction of overdose drugs, such as Narcan (naloxone), may be able to stop and even reverse an overdose when caught early enough. It is important to seek immediate medical help if an overdose is suspected. Heroin overdose may lead to coma or even death without professional intervention. Heroin abuse can quickly lead to physical and emotional dependency, as the circuitry in the brain surrounding how reward, emotions, and motivation are processed is altered. When an individual is dependent on or addicted to heroin, the sudden removal of the drug may induce powerful withdrawal symptoms. The intensity of these symptoms may depend on how severely addicted or dependent the individual is on heroin. The level of dependence can be influenced by personal biology and family history of addiction, length of time abusing and amount of heroin used each time, method of use, age at first use, and environmental factors. Heroin withdrawal, as with withdrawal from all opiates, can be dangerous; therefore the drug should not be stopped “cold turkey,” or suddenly, without medical supervision. Medical detox is the optimal method for purging heroin safely from an individual who is addicted to the drug. Medical detox is often provided in a specialized facility where vital signs can be continuously monitored, and both mental health and medical professionals are on hand to provide necessary care. Medications are regularly used during heroin detox. Since heroin is a short-acting opioid, it may be replaced for a longer-acting one, such as methadone in some cases. Buprenorphine products are also common during heroin detox, as they are opioid agonist medications that work to stave off withdrawal. They may also be mixed with an opioid antagonist like naloxone to deter relapse. These opioid drugs may be slowly weaned, or tapered off, during drug rehab until none of the medication is needed. Heroin withdrawal may include physical symptoms, such as nausea, vomiting, chills, runny nose, excessive tearing, diarrhea, yawning, and muscle aches. Emotional side effects of heroin withdrawal can be intense as well. Symptoms like anxiety, depression, agitation, restlessness, irritability, insomnia, and cognitive deficits may be common. Medications may be helpful in targeting specific symptoms during heroin withdrawal. Medical detox is an important first step in heroin addiction treatment, and it should be followed with a comprehensive treatment plan. Behavioral therapies are helpful in both group and individual settings to modify potential self-destructive thoughts in an effort to increase self-esteem and reduce risky behaviors. Personal triggers, or stressors, are identified, and individuals can learn healthy responses to these triggers. Motivational Interviewing, or MI, is another therapy method that can help an individual to find the internal motivation to want to change and become sober. Intensive family and systemic programs are helpful to heal the entire family unit, as they work to rebuild personal relationships and a healthy family dynamic. Often, drug abuse and mental health concerns may occur simultaneously. A research-based and integrated treatment program designed and implemented by substance abuse, mental health, and medical professionals is ideal. In this type of program, all treating professionals work together to ensure everyone is on the same page. For cases of co-occurring disorders, ensure the rehab program in question is equipped to treat cases of dual diagnosis.